Hazard pictograms are a major component of the GHS (Globally Harmonized System for Hazard Classification and Labelling of Chemicals). The GHS includes two sets of pictograms: one set used for labelling containers and for workplace hazard warnings, and a second set used during the transport of dangerous goods (TDG). The GHS pictogram is a graphical representation that includes a symbol along with other graphic elements such as a border, background pattern or color intended to convey specific information. The GHS pictograms are intended to replace older systems such as Canada’s WHMIS (Workplace Hazardous Materials Information System) and the European Union pictograms as defined in the Dangerous Substances Directive. The following is a description of the GHS pictograms used during the Transport of Dangerous Goods (TDG). NOTE: There are several pictograms that have been included in the UN Model Regulations but have not been incorporated into the GHS because of the nature of the hazards. These pictograms are: Class 6.2 (infectious substances), Class 7 (radioactive material), and Class 9 (miscellaneous dangerous substances and articles). 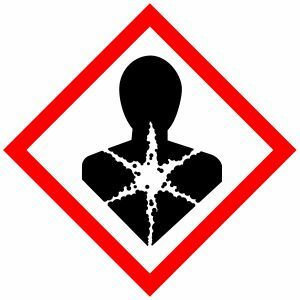 NOTE: For a description of the GHS hazard pictograms used for labelling containers and for workplace hazard warnings, see the article “GHS Pictograms Part 1”. Simply Safety! incident management software can help protect you and your company by allowing you to be proactive in reducing risk and associated costs and keeping an accurate due diligence trail. Simply Safety! software program replaces paper-based or spreadsheet tracking with a modern efficient way to manage critical compliance data. Looking for a better way? Call 1 800 862-9939 today to book a 20 minute online web demo of Simply Safety! for your management team! Visit the Simply Safety! products page. This entry was posted in Workplace Articles. Bookmark the permalink.